Tom Ibarra, is a young composer and Jazz guitarist with the influences of Funk Rock Fusion. From young age, he started listening Miles Davis, Michel Cusson, Bob Berg, Kei Akagi, Pat Metheny, Scott Henderson, Prince, Bach, Ravel, Kenny Garett, Wes Montgomery, UZEB, Weather Report, Santana and of course many more. 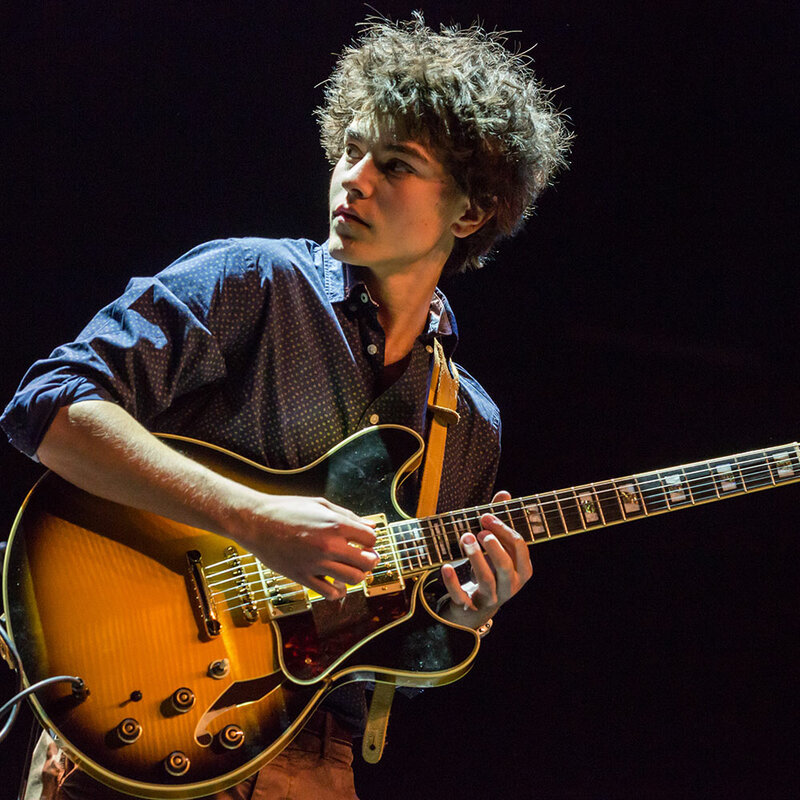 Tom was born October 3rd, 1999 and began playing guitar at the age of 6 under the wing of his grandfather Menou. At the age of 11, he began to work by himself and began composing his own music. In 2013 and 2014 he took part in Serge Lazarevitch's master class which was located at the Jazzitudes de Lisieux in Normandy. He is currently the youngest guitarist endorsed by IBANEZ GUITARS (March 2015). In 2013 and 2014, Tom was awarded the first prize SACEM at the Jazz Festival of Puces in Saint-Ouen and in 2015 he was invited as a guest of honor; he had the privilege of sharing the stage with Didier Lockwood, Sylvain Luc, Lionel Suarez et Lemmy Constantine for the last set of the festival. The year before it was Elios and Boulou Ferr? who had invited him to perform a few Manouche standards on the main stage. Again in 2015, Tom was given the opportunity by the Tremplin jury at the Jazz Au Phare Festival to participate in their festival line up the following year (2016). January 30th, 2016 he was awarded the Jeune Espoir (young talents) Action Jazz during the Tremplin Action Jazz which took place in Rocher de Palmer in Cenon near Bordeaux. On the 22nd of July, 2016 Marcus Miller invited Tom on the main stage of the Saint Emilion Jazz Festival for a memorable performance of Tutu and Blast.